Blancmange is made by mixing blancmange powder, which is made from cornflour and flavouring such as cocoa powder, with milk and sugar and heating it. It needs to set for several hours before it is turned upside down. Mix blancmange powder, sugar and 3 tbs milk to make a smooth paste. Heat remaining milk in a jug in the microwave or in a saucepan. Add a little warm milk to the paste and stir. Return to a jug in a microwave or a saucepan and heat and stir until thick. Pour into a mould, cool then put in the fridge and leave to set for 3 hours. Turn upside down and serve chilled. Heating cornflour and liquid makes a thick sauce. The liquid enters the starch granules, they swell and a gel is formed. 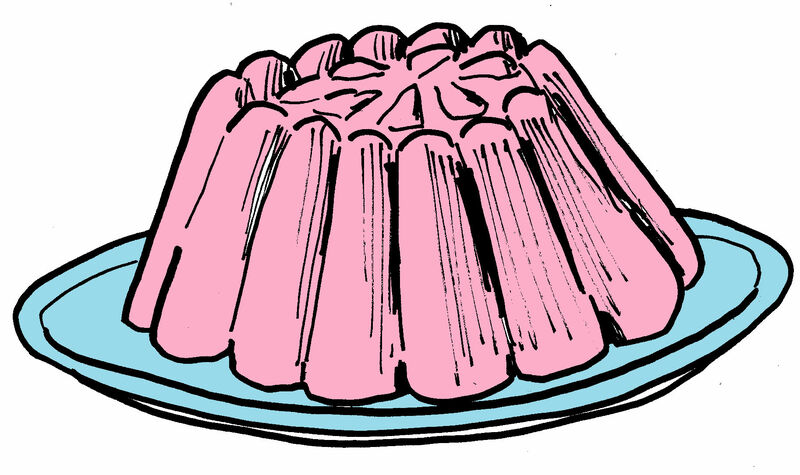 The blancmange thickens by gelatinisation.